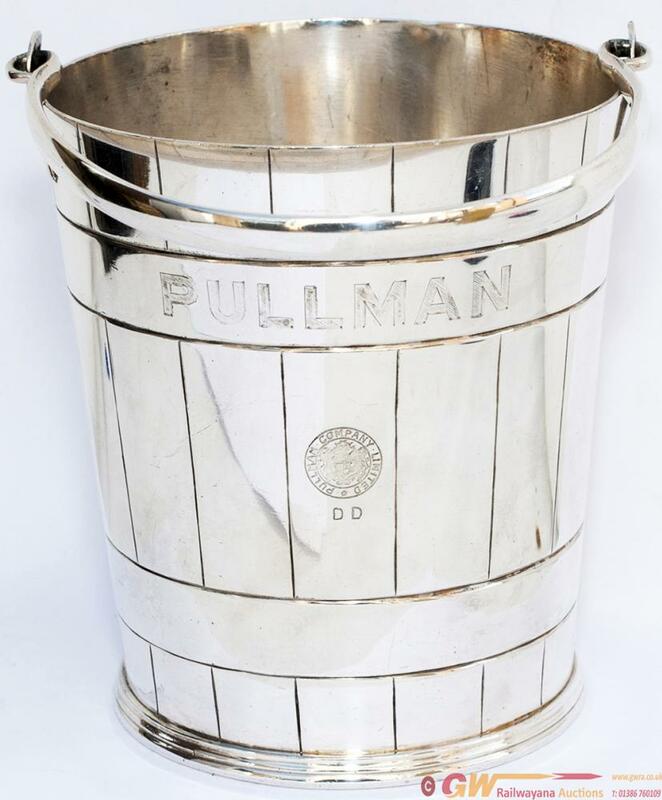 Pullman silverplate ICE BUCKET, hand engraved PULLMAN at the top and stamped with the full Coat of Arms in the centre. Complete with handle. Measures 5in diameter and is in very good condition.